Dishonored the Brigmore Witches walkthrough begins. 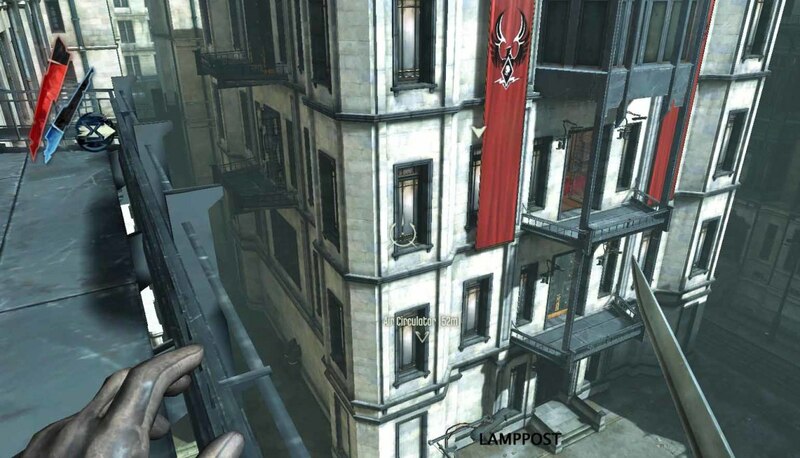 In Dishonoured the Brigmore Witches dlc, the hero and assassin Daud returns to action. First he is attacked by the renegade hero Corvo, or is this a vision granted by the witch Delilah? 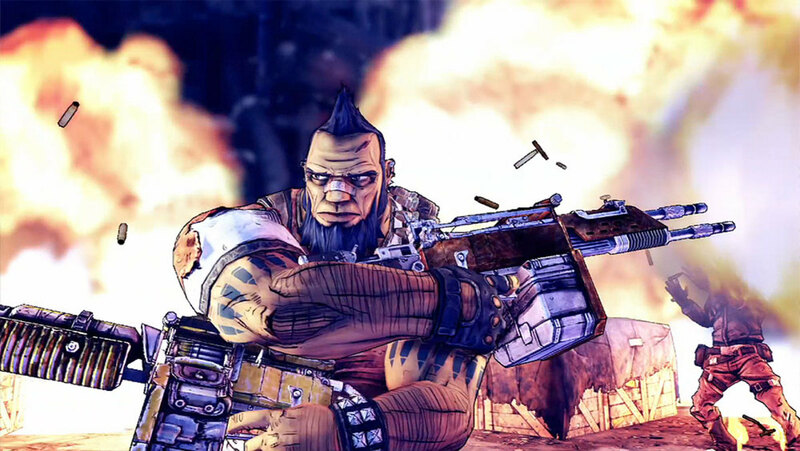 Nevertheless, Daud wakes up in his headquarters and is asked to speak to Thomas. Then he must travel to Coldridge Prison to rescue Lizzy Stride so that she can take him to the witches through the use of her boat. This will guide Daud as he navigates through Coldridge Prison and tries to find and activate the prison cell control to free Lizzy Stride. 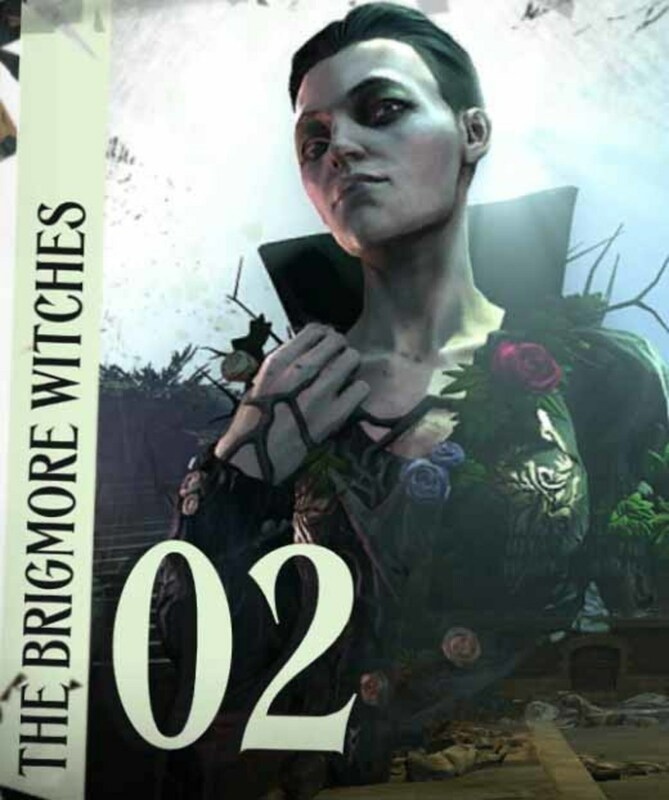 The first piece of action in the Brigmore Witches occurs almost immediately after loading the game. Note that this happens after the hero is asked if he wants to load a previous saved game from the Knife of Dunwall. 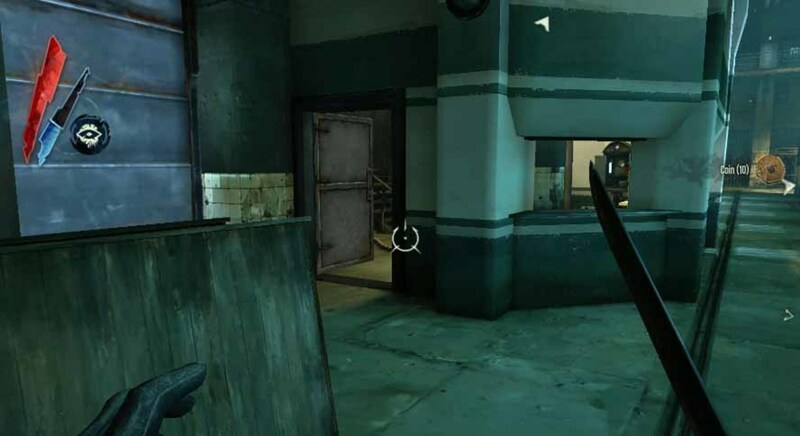 However, in the first fight against Corvo, the hero will not have his saved powers from that game. 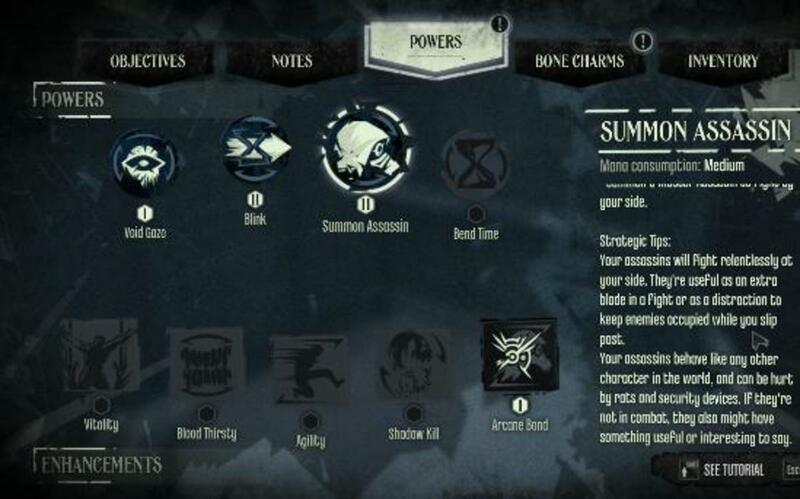 With his basic powers, the assassin Daud must defeat Corvo. The best way to do this is to blink around the room and try to get Corvo off-guard. When Corvo is off-guard, hit him with Daud's weapon. Just when Daud thinks he is about to strike down Corvo, Corvo disarms him and puts him down. After the fight, wake up and look around Daud's headquarters for gold, loot, books, runes and journals. There is a book here that lists the various locations in the Empire's Isles. Does this suggest more dishonored dlc or even dishonored 2? 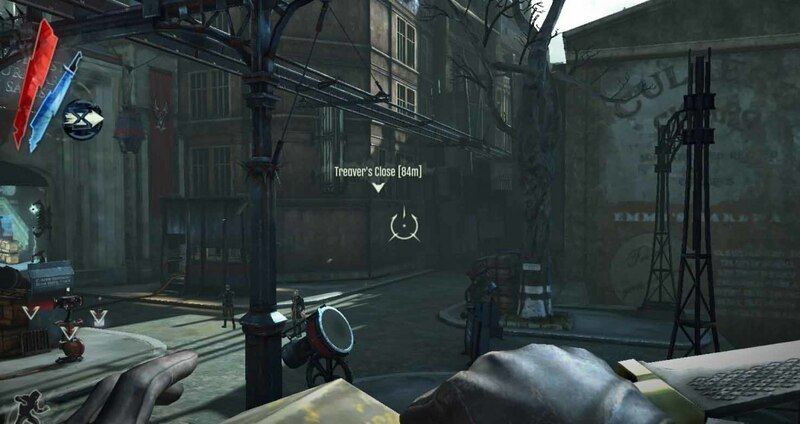 After exploring Daud's headquarters, follow the marker and speak to Thomas to start the first mission. Overseer Daud - Daud is disguised as an overseer. Misplaced Rune - a rune has been misplaced and will be waiting for Daud. Forged Requisition - forged requisition orders will allow mines to be transported inside the prison lockers. Search the area near the munition lockers to find the key to the lockers. Explore the Coldridge Prison entrance control room and then stride into the next room. This room has some guards but they will not attack the hero because he is an overseer. This room also has an electric arc pylon. Remember this wonderful delight? The hero can rewire this arc pylon just in case something goes wrong with the disguise. The objective of the disguised hero is to get to the Interrogation Room. Head past the room with the arc pylon across the courtyard to the next room. The room just before the interrogation room has stairs leading upstairs (on the left as the hero faces the entrance of the interrogation room). The stairs will lead to the cell door activation control lever. The path to the right will lead to the forbidden area. Entering this area will trigger off fights which may blow the hero's cover if he is not fast enough to eliminate the enemies. Head into the interrogation room to finish off the overseer disguise side quest and learn the true powers of one of the witches of Brigmore. The logbook that contains Lizzy Stride's cell number is located inside the guard station in the forbidden area. The hero must enter the forbidden area on the right. The idea here is to get the log book which will reveal Lizzy Stride's cell number. The log book is located within a control unit after the first few blocks of cells. The way to the log book is blocked by guards, obviously. For the experienced assassin Daud, a few guards should not be a problem. Remember to upgrade shadow kill so that the guards will be reduced to ashes when they die. Do this fast enough and the guards will not have enough time to alert other enemies. The absence of the guards' corpses also mean that they cannot alert other guards. Note that the guards will drop guard post keys which are essential for unlocking certain doors including the control unit within the block of cells. Next, head up the stairs to the cell control lever. More guards are positioned here. Eliminate them all and then reach the cell activation control room. Input the above cell number to open Lizzy Stride's cell. Then go downstairs and go the block of cells. 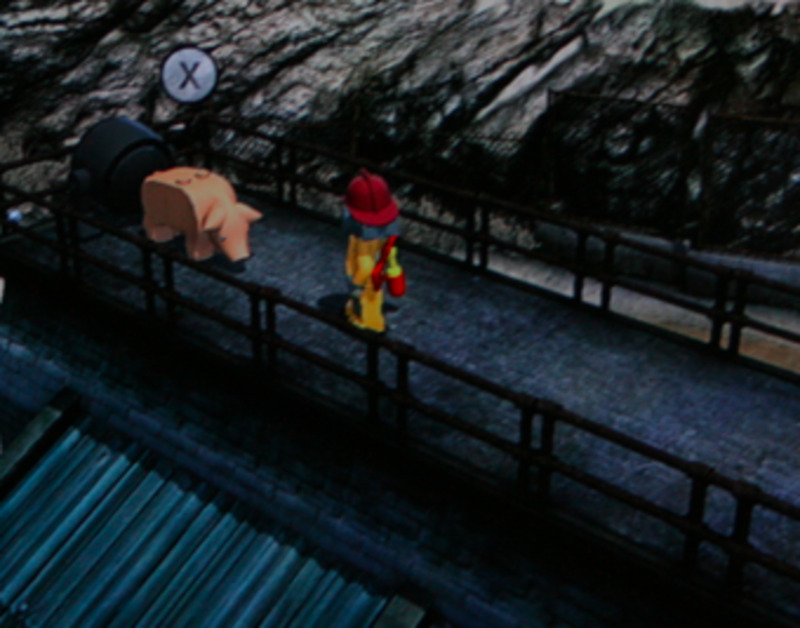 It is probably best to clear the way from the block of cells right to the exit to the sewers first. The way to the sewer exit is pretty straightforward, but will be blocked by lots of guards. Defeat all the guards and then go back to Lizzy Stride (follow the marker) and release her. Lizzy will fall unconscious. Carry her to the sewer exit and break her out of Coldridge Prison. Now, its time to help Lizzy take back what belongs to her.